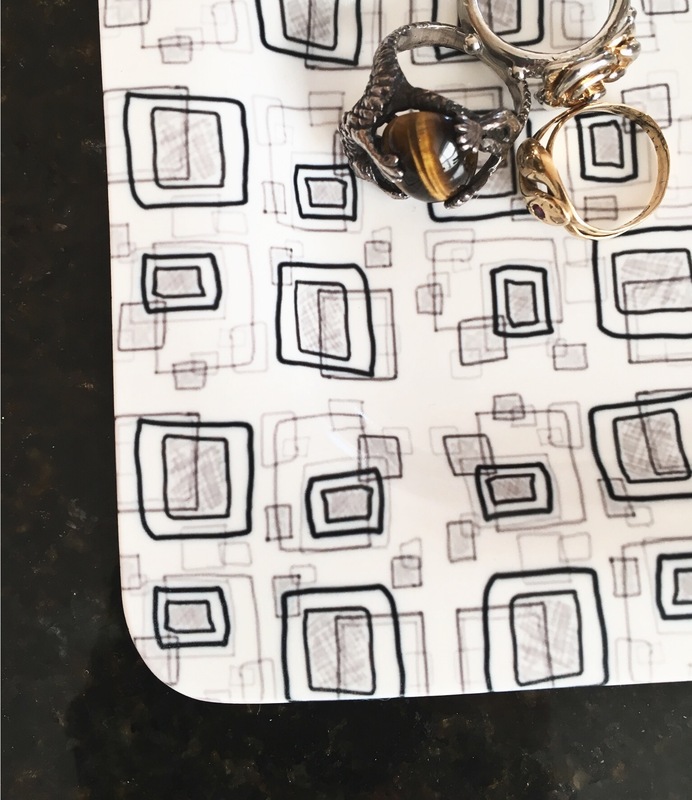 How to Make Your Own Geometric Printed Catch-All Tray - Genue DIYGenue Inc. This month at Genue, we’re all about geometric patterns—specifically those by groundbreaking artist Vera Molnar! With her dynamic moving shapes made by computers, Molnar changed the way technology could be used to create art. So now we’re going to try to design something with the same innovative spirit! 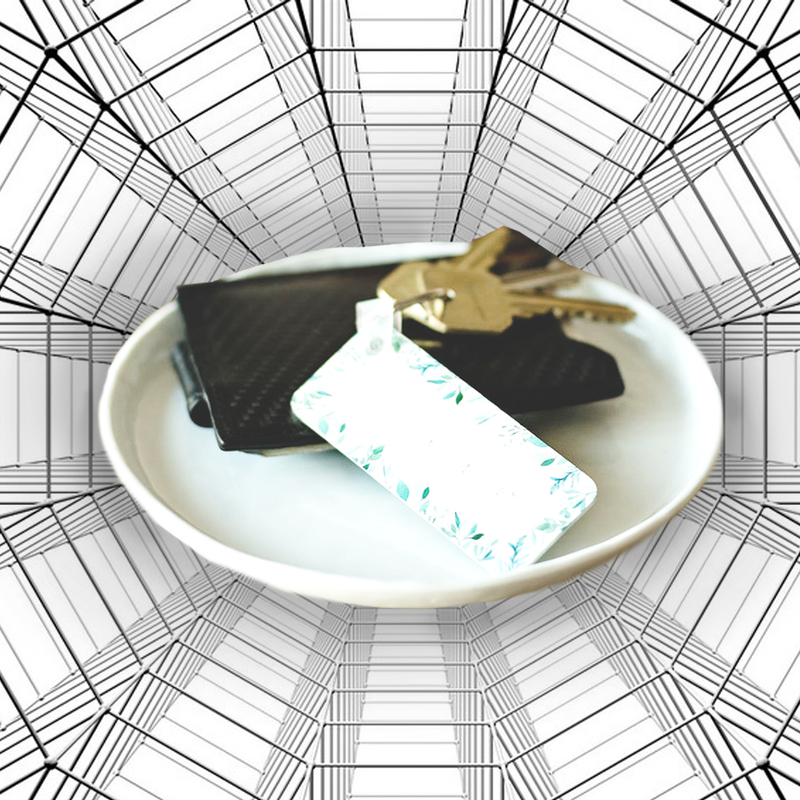 Follow along as we create a custom printed catch-all tray with an abstract geometric design. Because many of Molnar’s works utilize a simple color scheme, the color palette for this month’s project is going to be a black and white, while using lower opacities of black to create shades of grey as accent colors. Because of the simplicity of our design, we won’t need to pick a specific background color—we’ll be taking advantage of the white color of the blank canvas, so all you have to do is begin drawing! 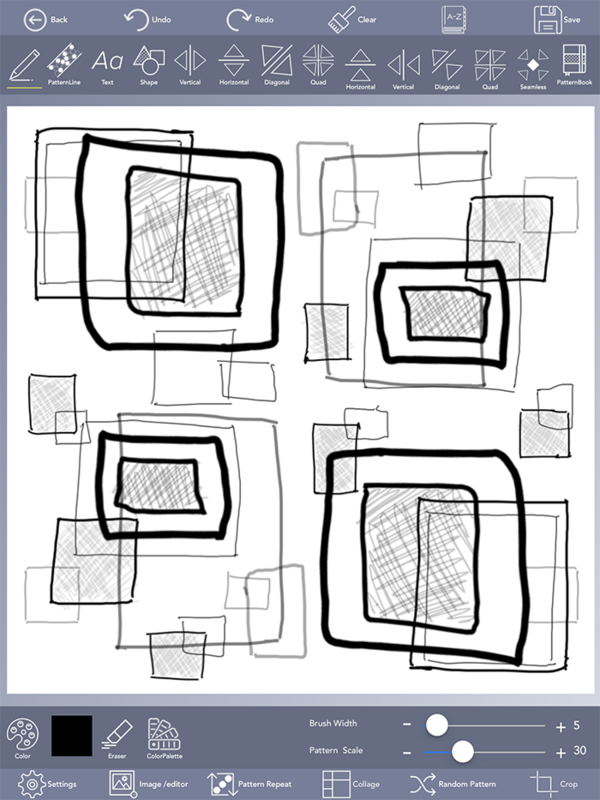 To create our geometric pattern, let’s start off by drawing some basic squares in a plain black color. We used the ‘Diagonal Mirror’ tool to reflect the squares we drew in one corner of the canvas to the other side—that way, we technically only have to draw two squares! Use the slider bar in the bottom right corner of the screen to adjust your brush width. We suggest using a thick line around 15-20 pixels wide for the outer square, and then something slightly thinner around 9-12 pixels for the inner square. Now let’s continue adding squares to our design! Turn off the ‘Diagonal Mirror’ tool by tapping on it (you’ll know if it’s off if there is no yellow line underneath the icon) and then adjust your brush width size to something very small—we suggest a width around 2-4 pixels wide! Then go to the ‘Color’ window, and use the ‘Opacity’ slider bar to change the opacity of the color black to a lighter shade of grey. 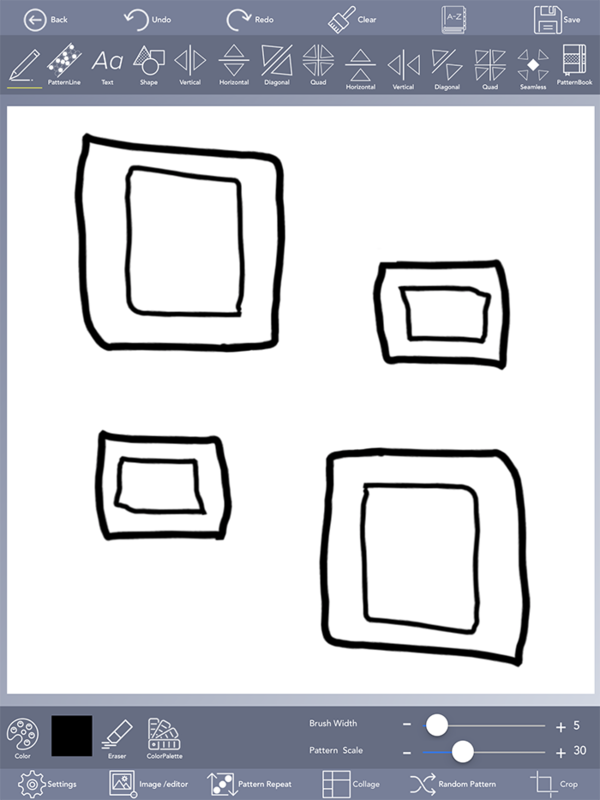 Then, draw some smaller squares and rectangles over your first few squares. This project is all about being abstract, so place your shapes in a way that is pleasing to you! 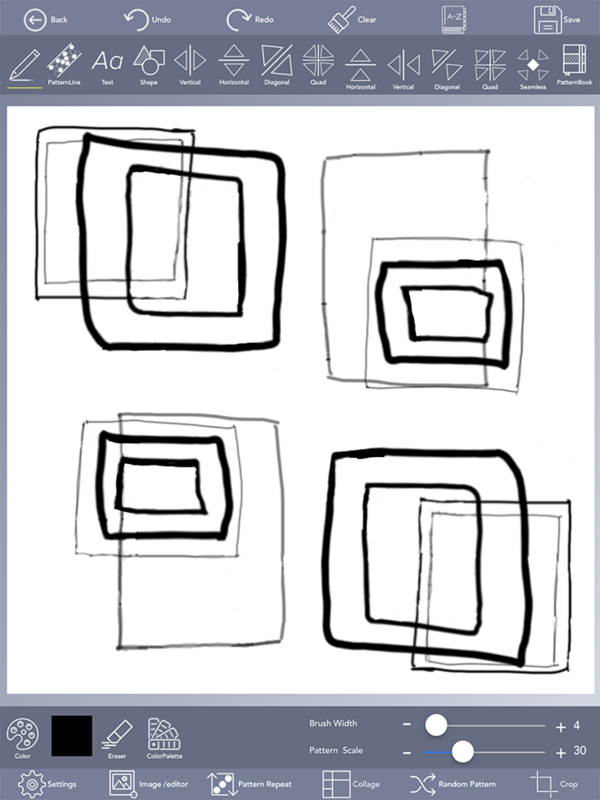 Experiment with lower and higher opacities for each square to create a sense of depth. 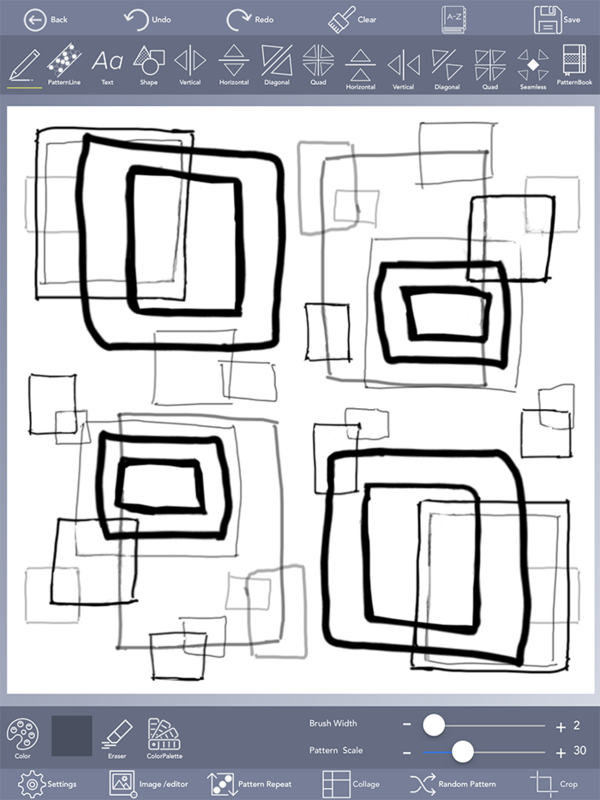 Repeat the steps above and keep drawing squares until your canvas is filled! 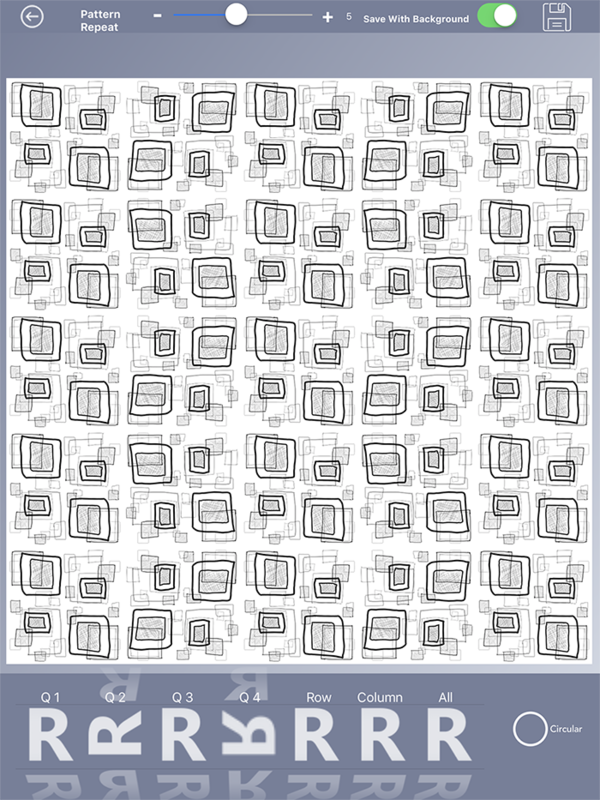 Experiment with line thickness and opacity, making many small squares to fill in the blank spaces of your pattern. Don’t be afraid to be creative! When you’ve finished creating your masterpiece , it’s time to repeat your pattern! 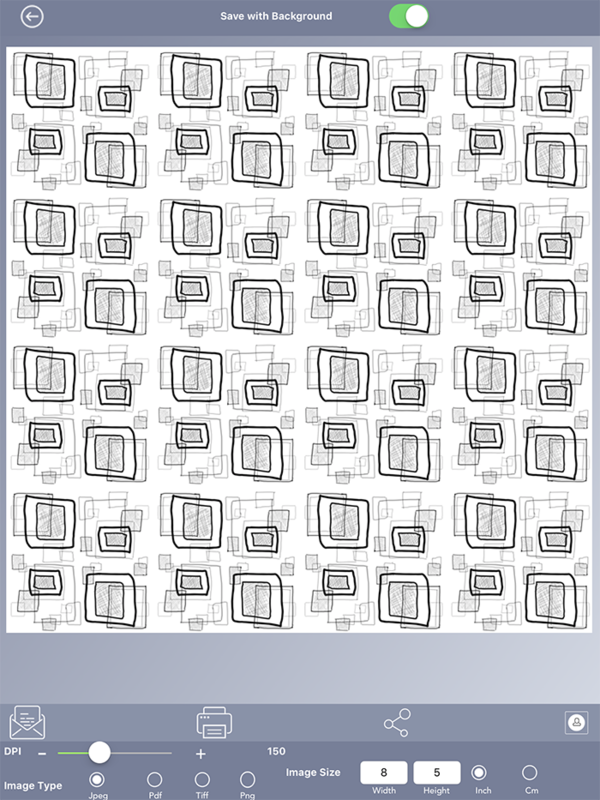 Hit the ‘Pattern Repeat’ button at the bottom of the screen to begin. Use the slider at the top of the screen to adjust the number of times your image will be repeated—We suggest to repeat the pattern 4-5 times for this project. Experiment with the orientation of the quadrants of your pattern by holding and dragging the letter ‘R’ buttons at the bottom of the screen. When you’re satisfied with your finished product, it’s time to save it. Hit the ‘Save’ button and save your pattern to ‘Final Designs’. Select the ‘Final Design’ option that’s available underneath your saved designs on the ‘My Projects’ screen. Select your Design and choose Export which will take you to screen below. Our chosen Maker has several different sizes of trays available, so be sure to pick the correct size for your needs. For this project, we’ve chosen to make the ‘Desk Tidy’ tray, so we exported our design at 8” x 5”, allowing for some extra space for the bleed-over lines on the template. Email either a JPEG, PNG, or TIFF file to the device that you’ll be ordering the towel from so that you can access the image later. Adjust your image to fit within the guidelines of the tray with their digital editor. Once you’re ready, hit the green ‘Preview and Buy’ button in the bottom right corner and follow the instructions for there. Fill in your shipping and billing information, and wait for your special tray of your own design to arrive! 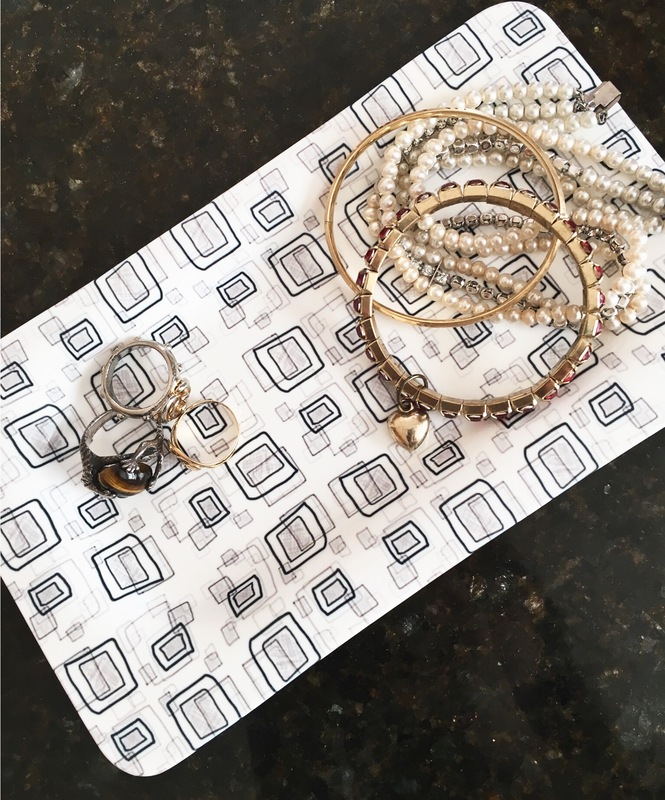 Enjoy your one-of-a-kind tray with your Genue design!